The only word to describe our reaction on our first visits to Hoy was speechless, Even now, after 7 years, it's still hard to put into words this amazing island of contrasts. But here is our best attempt to highlight some of its features. Hoy is really made up of two islands which have now been joined by a causeway. To the south, the island is called South Walls where Old Hall Cottage is located. Hoy and North Walls are on the North side of the causeway. The whole island has an unspoilt natural environment with building and development strictly regulated ensuring it stays as beautiful as it was many hundreds of years ago. In the South, the land is gently sloping and mostly farm-land growing barley or is used for sheep and cattle grazing. The spring time is a special delight, being able to watch the lambs prancing and playing with each other and hearing them bleating happily, or not too happily if they stray too far from their mums'! Old Hall Cottage is surrounded on three sides by sheep grazing land belonging to The Scottish Wildlife Trust, so you can be sure to get a close up. The North is wild and hilly, extremely dramatic and great for hiking. 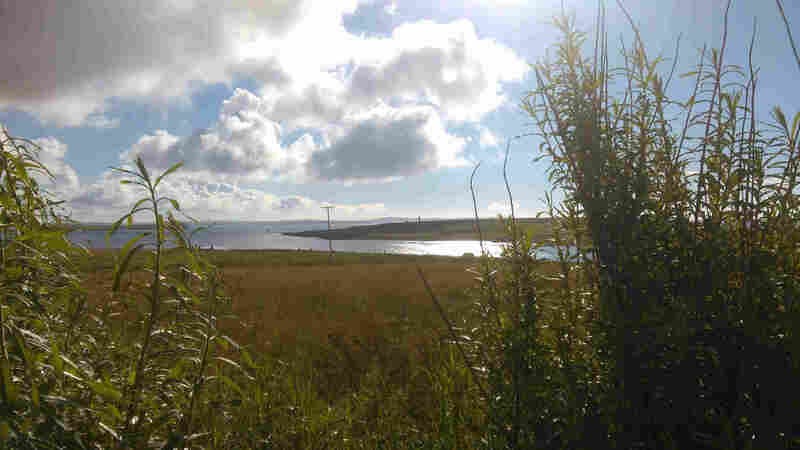 The highest point on Orkney is Ward Hill (481m or 1579ft in old money). 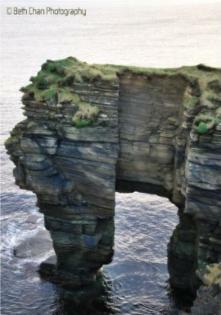 Your climb will be wonderfully rewarded with uninterrupted views of Orkney and beyond. A well laid path marks the way from lovely Rackwick with its white sandy beach and its dramatic high cliffs (our son runs up those for fun would you believe, though we personally wouldn't recommend that) to the Old Man of Hoy - a giant sea stack rising 450ft out of the Atlantic and depicting an old man's face. Experienced climbers - will you take up the challenge to climb to the top? Nearby, you can find St John's Head with some of the highest sea cliffs in Britain at 350 metres (1100ft) so maybe one for vertigo sufferers to avoid. The coastline is equally dramatic on the South side with spectacular views over the Pentland Firth to Scotland and over the Scapa Flow to the other islands of Orkney. A coastal walk will be rewarded with sights of seals, who may come onto the shore to get a better look at you, porpoises, the occasional orca and basking shark, dolphins and a vast range of birds. The distinctive puffins make their nests to the North and there are many more fascinating and often rare birds to be seen on Hoy, including a pair of nesting sea eagles. You will also find white sandy beaches, and in particular Kirkhope Bay, which is just five minutes walk away from Old Hall Cottage. The water all around is crystal clear and very inviting. There are a few safe swimming spots on the Scapa side of the island, including Kirkhope. If you are lucky, the curious seals will swim with you. 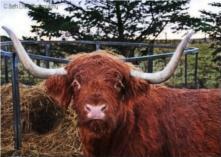 This was one of the highlights of our daughter's visits to Orkney. There are many marked coastal walks, The Gloups is our favourite, the start of which is 10 minutes walk across the fields from Old Hall Cottage. A gloup is a collapsed sea cave, coming from the norse word "gluppa" which means chasm, of which Hoy boasts some magnificent examples. This is where you will also find the Hill of White Hamars, a SWT reserve which is great for walking, birdwatching, wildflowers, geology and breathtaking scenery. Having come from the city where pigeons and magpies dominate, we have been delighted at the variety of birds on Orkney. The pretty barnacle geese, majestic falcons, funny puffins and shy corncrakes are just a few of the many residents as well as the myriad of species which stop for a rest on their migration passages. There is an RSPB reserve in North Hoy. Their WEBSITE may have information on birdwatching events taking place on Hoy. There are walks, provided by Ron Bulmer, who can be contacted directly for further information. Please note that these walks may not be wheelchair or buggy friendly but you could always check this out with Ron before planning your outings. Cycling is very popular and is a great way to see a lot of the island. If you are like Sandra, then "push bike" is very apt as she will "push" up hill and "bike" down. You may call that cheating, but it's good fun all the same. Cycles are available to hire in Stromness at ORKNEY CYCLE HIRE or in Kirkwall from CYCLE ORKNEY. There are plenty of great fishing spots on the island. Tom enjoys fishing (spinning) off the cliffs near to Old Hall and there is excellent trout fishing at Heldale Water also near to Longhope. We would love to be able to display photos of our visitors with their prize catch or maybe publish those stories about "the one that got away!" 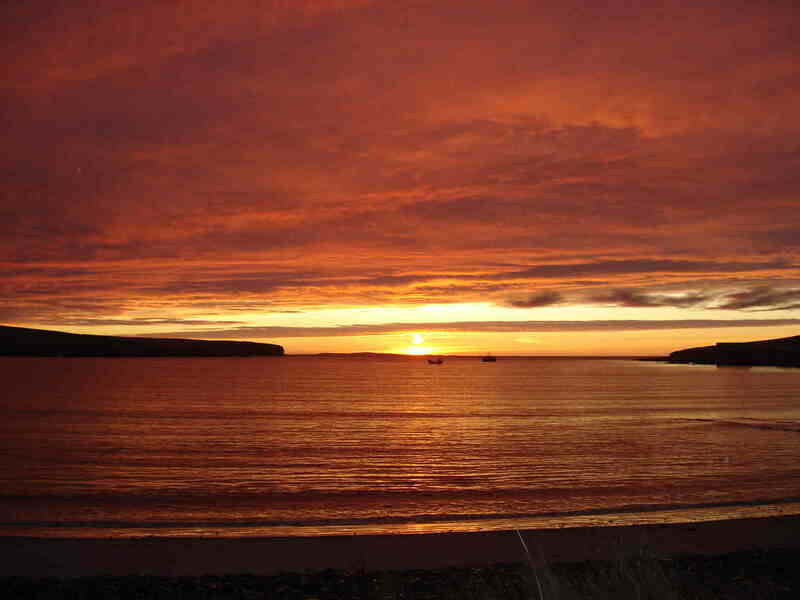 When we first arrived on Hoy, one of the first things we noticed was how beautiful the sky is at night. Never before had we noticed stars so big and bright and seemingly so close that you could almost pluck them out of the sky. Sandra was very excited to be able to pick out clearly Orions Belt. Though her knowledge of the other constellations is a little shaky, we are just content to sit and gaze. We are also amazed at the vivdly coloured sunrises and sunsets which are picture postcard quality on an almost daily basis. Hoy is in a good location to get views of the Northern Lights, normally visible between mid November to mid March, weather conditions permitting. As one of the longer term residents of the island told us on our arrival, "You can't walk for more than five minutes without falling over something of archaeological interest" and it's true. Excitingly, recent excavations have taken place at the Cantick Green Hill Broch, a little way up the road from Old Hall. Early results show that this may possibly be a neolithic tomb or Norse Tower, rather than a broch, adding much weight to the Norse sagas detailing this area as a place of shelter during the many battles which took place. In the steep glaciated valley called Dwarfie Hamars between Quoy and Rackwick is the Dwarfie Stane, a neolithic chamber with a conflicting views as to who occupied it. Was it, as local legend believes, the dwarf called Trollid, or was it made by a giant and his wife? Why not do a little exploration and decide for yourself? Within walking distance from Old Hall is The Stromabank Hotel with its cosy, friendly bar in which an impromptu folk evening may often arise. Open all year, you can spend winter evenings here by the real fire enjoying some of the locally produced beers. The Stromabank also has a conservatory restaurant with fantastic views to help aid the digestion of their mouth watering home cooked food.The ginger cheesecake, when available, is an indulgence worth going over the calorie count for! Book early to avoid disappointment. The Royal Hotel in Longhope and the Hoy Hotel in Lyness offer additional bars and restaurants where an equally warm welcome and real hospitality await as well as stories and legends of Hoy which can be heard from the locals.There is also a licenced cafe, called Beneath'ill Cafe, at the north end of the island. Their website can be found HERE. Please note, evening meals must be pre-booked in advance for all venues. The North Walls Community Centre is a modern well equipped centre which offers a superb gym. Non members are very welcome, though induction is required. There is a wonderful heated swimming pool with a number of sessions running through the week. Private pool hire and parties are also available with advance notice. Also at the centre is badminton (Tuesdays and Fridays) All abilities are welcome and advance booking is not required. A small fee will be charged to cover hall usage costs. Traditional Scottish dancing sessions are led by an expert teacher at the YM Community centre. Beginners are very welcome to try out this wonderful form of exercise. There are a range a dances try out, from the very gentle to the very energetic. 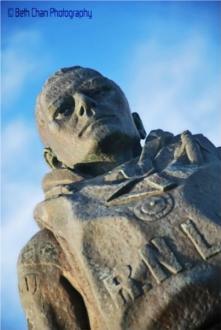 St Columba's Kirk (previously known as South Walls Kirk) is the only Kirk on Hoy now offering regular Sunday worship. St Columba's is a member church of The Church of Scotland which in the main is of a traditional nature. St Columba is credited with introducing Christianity to the Picts, who are believed to have occupied Orkney. Following its refurbishment and the reorganisation of parishes, St Columba's has been faithfully and lovingly restored. Open every day, it is a lovely place to sit quietly, especially when it is bathed in light from its huge windows all along one side behind the imposing pulpit. The two other churches on Hoy are St John's and Hoy Kirk, near Rackwick. Both are now maintained by trusts and open to the public with occasional events and services taking place.